Congratulations to the Boltz Middle School Unified Program – 2018 Cesar Chavez Student Organization Award recipient! The Boltz Unified Program is a student-led program that supports the concept of inclusion for all and equity within a school campus. 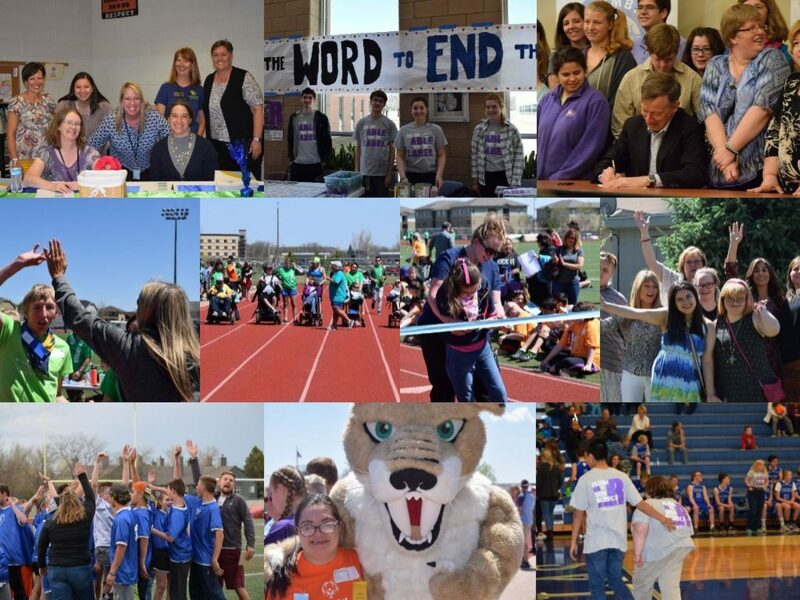 The Boltz Unified Program offers a class for students who would like to engage in Unified projects, leadership opportunities, school-wide campaigns, health and wellness, and sporting events. The class is unified with students of all ability levels and backgrounds. The students travel to Denver every year for the Special Olympics Youth Summit and organize the school-wide “R Word” campaign. It is heartwarming to see the inclusive messages that the students spread across the Boltz campus. Previous PostPrevious Mary Hull Awards Recipients Announced! Congratulations to ALL nominees and recipients! Next PostNext Dr. Temple Grandin visits Poudre High School!